I guess with a title like Branch Today, Gone Tomorrow it’s no surprise that a lot of people think I’m anti-branch. I’m not anti-branch, I just don’t drink from the branch kool-aid fountain that goes something like “if only we could find the right formula we’d reverse this trend of not visiting the branch and customers would flock back to our physical space”. I think most Bankers and Credit Union executives, instinctively feel there is a change in the importance of the ‘channel mix’, but as often as I hear questions about how quickly this is going to occur, I hear executives talking about how customers used to behave. “But don’t customers need to come into a branch for lending products; to talk to a loan officer about more complex products?” This is a legitimate question in the old world, but it’s light on today in respect to the facts, which don’t actually indicate the branch is central to lending. The fastest growing lending institutions in the country right now aren’t the big banks, community banks or even credit unions. The fastest growing lenders certainly aren’t mortgage brokers. 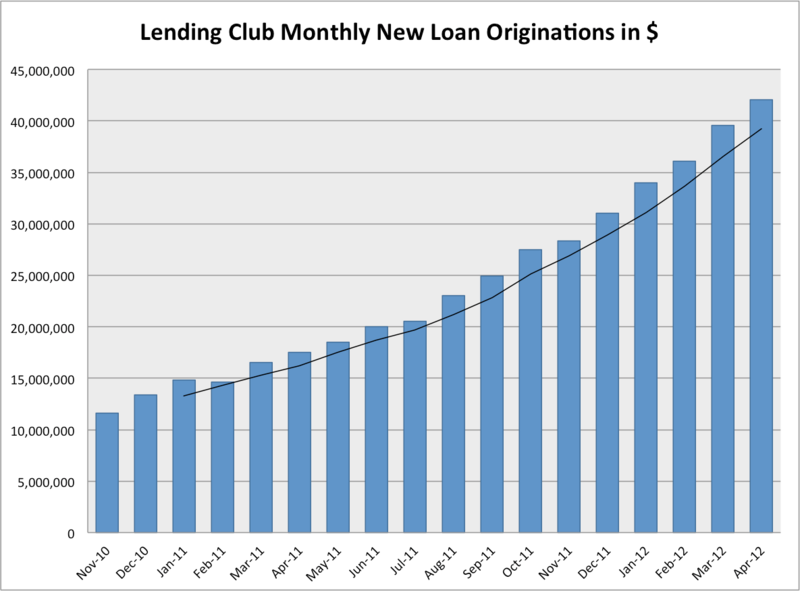 The fastest growing lenders in the United States at the moment are actually peer-to-peer social networks, namely Prosper and Lending Club (thanks to @netbanker for this gem). In terms of percentage growth of loan book, you’ll be hard pressed to find any FDIC insured institution doing better. In fact, I’d wager that a 375% increase in Loan Originations in the last 18 months, coming off the back of the Great Recession as the global financial crisis is being called, is one of the most impressive new FI growth stories you’re likely to hear globally. Now my point here is not to argue that P2P Lending is better, it is to argue that the perception that to sell a complex product you require bricks and mortar, just isn’t supported by the data. To be fair, however, there is actually some valid behavioral data at work here that comes out through qualitative research supporting the role of the branch for legacy customers. That is, that there are still plenty of customers who say they want a branch – that doesn’t mean they will visit it, but they like to have them around. In Branch Today I examined the data and reasons for the recent rapid decline in branch activity, both from a visitation and transactional measure, but the question is why some customers still say they want to visit a branch? I have a humdinger of a problem that I couldn’t solve offline, so I’m coming into the branch to get relief. Branch bankers hang on to #2 for dear life, hoping that this will somehow keep customers coming back, helping justify those massive budget line items dedicated to real-estate; sadly it just isn’t happening that way. And yet, when you ask customers what determines their choice of ‘bank’ relationship, often the convenience or availability of a local branch, remains a stalwart factor. Since the mid-80s, branches the world over have generally been transformed into streamlined cost/profit centres. 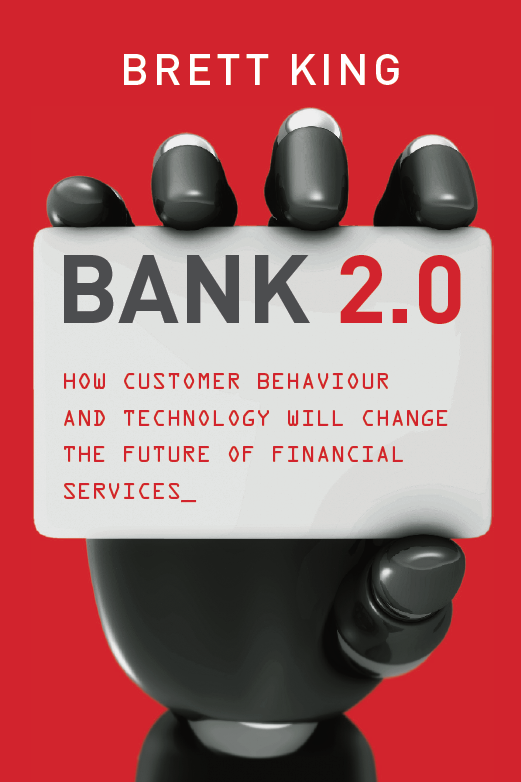 The industry has attempted to reduce cost and improve efficiency to optimum levels and in this light customers have been forced to trade off between either big bank efficiency and utility, or the personalized service of a high street, community banker interaction without all the bells and whistles. But who is going to pay for the space? The big problem with this, of course, is that as customers more commonly neglect the branch in favor of internet, mobile, ATM and the phone (call centre), the economics of the real estate and branch staff is no longer sustainable. So how do you have a space that still ensures the confidence of those customers that require the psychological ‘crutch’ of a space they might need to go to, but who aren’t willing to pay more for the privilege and won’t change their day-to-day banking habits back to the branch because the web and mobile are just so much more convenient? If you need to instill confidence in the brand, then the best way is to build a new, large square footage space that screams new-age, tech-savvy branch banking with coffee and comfy chairs! Think the opulent Airline loyalty lounges that started to emerge in the late 80s. Think Virgin Megastores or the “Gold Class” cinemas of the 90s. Think Apple Stores today. Brand spaces that inspire confidence. Enable a connection with your customers. Spaces that tell customers you’re all about service, advice and solving their banking problems – not about tellers and transactions. Jeff Pilcher at FinancialBrand.com regularly covers the best of these new Flagship and Concept Stores, so head over there if you want some examples to work from. However, this is not exactly going to lower your bottom line around distribution. If anything it’s going the other way. Knowing that you’re going to have to downsize, the average FI will only be able to support a handful of Flagship stores in key, high-traffic, high-visibility location. So how do you equalize the ledger? Supporting the Flagship stores at your secondary locations (i.e. anywhere that is not your best, most densely populated geography) will be very simple, cash-less brand presence stations. These will be small spaces in prime traffic locations like shopping malls, without any teller space, but the space to service the pants of a customer who needs that advice or help with a sticky problem. If they want cash, there will be an ATM. If they want to deposit notes or checks, the ATM can do that too, or you might incorporate a dedicated check deposit machine in the space too. In fact, the bank representative in the space could just use his iPad for that – although it’s better to move them to the ATM and go no transaction in the service space. A good example of this sort of space would be the likes of smaller UPS franchise stores, or the BankShops of the TESCO variety in the UK. Small footprint of no more than 300-500 square feet, but enough space to represent your brand and tell customers they can still come and see if you if they need a solution. The ratio of flagship store to satellite spaces will probably be at least 10 to 1, if not greater. You don’t need every branch to be “big” in the new reality; to give your customers a level of comfort that you are safe enough to put your money with them. In fact, as the likes of UBank, ING Direct and Fidor show, for some customers you don’t need any spaces. But for those that still want a space ‘just-in-case’ then this strategy is a great transitional approach. One day soon, within the next decade, we’ll need less than half the branches we have today. But as we make that transition, the need for a space to be an available component of service and support remains a key component of what we call financial SERVICES. It just doesn’t have to cost us the earth. Will the US be last in the drive towards a cashless society? Since the mid-20th century many have heralded the impending cashless society, but it may be that the emergence of mobile payments is the final tipping point in that outcome. Indeed, empirical evidence is already available that cash is in serious, if not terminal decline. For years regulators and governments have worked to track the movement of physical currency across border, and in the case of terrorist financing and criminal activities. The Financial Action Task Force developed 40 core recommendations in 1990 (revised in 1996) designed to reduce the risk of money laundering, but the greater part of the effort was focused on the movement of hard currency and it’s role in criminal undertakings. The reason for this is that it is harder to track currency, and if it can move freely around the system, the criminals, terrorists and “evil doers” can support their activities without restraint. In recent times in places like the Netherlands, the cashless society has already started to become a reality. In 2010, the Amsterdam City Government moved to create ‘cashless’ zones in the De Pijp and Nieuw-West (New West) districts as a result of rising crime rates. You can now only use Chip and Pin to pay in those locations. This has been successful enough that it is now being rolled out across other districts in Amsterdam. In Ireland, Belgium, Netherlands and other locations, banks are increasingly going cashless to reduce costs and crime. In recent years banks like SNS Bank in Utrecht and National Irish Bank, were two such European banks to commence the move to Cashless. Both cited the rising costs and risks of dealing with physical cash, and low volume of real ‘cash transactions’ in-branch, as a metric for justifying the move. In the Philippines, Kenya, Somaliland, Nigeria, Senegal, India and other such locations, the success of mobile payments and remittances is starting to see a dramatic shift in the day-to-day operation of the economy. In Somaliland where there are no ATMS, and almost no banking infrastructure, mobile payments enabled by mobile operators, the hawalad and money changers, might mean this province could become one of the first cashless societies. The key to moving away from cash, is reducing the reliance on cash day-to-day. RBA Governor Malcom Edy noted that cash use in Australia had declined from 40% down to 30% of traditional ‘retail’ payments. In the UK, cash usage is also in decline, with the UK Payments Council estimating that it will represent just 0.8% of retail payments by 2018 (this is down from 90% in 1999). In both cases, the use of Debit Cards has been cited as the contributing factor. The shift towards cashless requires reducing momentum in the ‘cash system’ by shifting to alternative modes of payment. The Debit Card has been an obvious ‘cash-killer’ in places like the UK and Australia, whereas mobile payments have had a much more rapid and profound effect on emerging economies. So with Peer-to-Peer (P2P) mobile and internet-based payments rapidly accelerating, and the move to NFC payments – the likelihood of ‘saving’ cash from terminal decline looks less and less likely. Check out PayPal’s P2P solution using NFC enabled Android phones for example. In this regard, the EU with it’s strong support for debit cards, chip and PIN and increasing mobile enablement, and the emerging economies of Africa and Asia with both low friction against cash and the pressing need for financial inclusion, probably mean that the US, who is so strongly and emotively married to the ‘greenback’ and stuck with outmoded mag-stripe will likely be among the last to go largely cashless sometime in the next decade. The momentum for these changes are building and it is a longer-term trend that will change the way we view banks and money in the very near future. The more friction you have, the more consumers will find workarounds. At the end of the day, a mobile or P2P payment will have far less friction than a cash payment.